1. All enclosures shipped by Aquacomet have a 3 year warranty on the materials and manufacture. The warranty period starts on the day of receipt. The warranty is valid, at the supplier’s discretion, for the repair or replacement of delivered item(s). 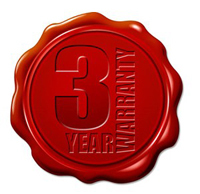 The warranty also extends to parts not produced by the supplier, excluding glazing. Regarding glazing, the warranty is limited to the forwarding of the claim to the producing company. The warranty for solid SAN plates (clear and blue-toned glass) is 5 years. For solid polycarbonate plates, a 10 year manufacturer’s warranty applies. For Southern European and Alpine climates, we recommend the use of solid polycarbonate cladding. 2. If a warranty case is expressly acknowledged by the supplier, then the most cost effective shipping and installation solution will be sought for parts to be installed. The installation will only be replaced within the 1st year, and only if the installation was performed by the supplier or his agent. 3. The warranty is only valid if the enclosure is used according to its specifications. There is no warranty applicable for the enclosure if it is not protected from the accumulated weight of snow. Pool enclosures must be immediately protected from snow and ice that must be immediately removed. Defrosting occurs automatically only when the inside temperature is at least +12C degrees. 4. We would like to call your attention to the fact that these structures, due to their construction (light metal frame, large open surfaces are flexible), can be damaged more easily than traditional building structures. We therefore recommend that owners take out an insurance policy covering the structure against major damage (and Force Majeure), as the basic cover provided by general building/flat insurance does not cover buildings within the garden. Please check this with your insurance company. 5. There is no warranty for failures arising from incorrect or neglectful treatment. 6. Warranty claims can only be considered, when written confirmation is sent to the supplier immediately after the detection of a fault.